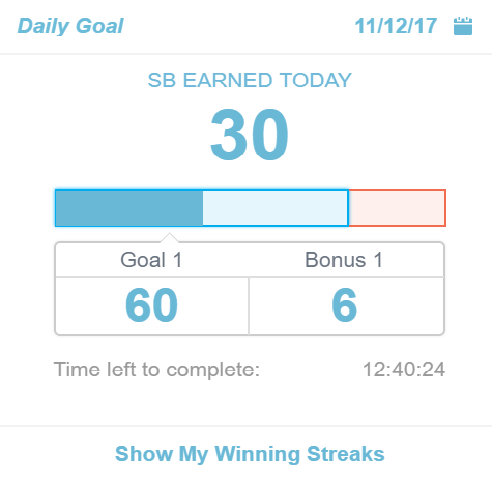 It can be a real struggle to make your Swagbucks daily goals and so I thought I would talk a little bit about it. There are basically two reasons to make your daily goals gaining the bonus and maintaining the winning streak. If you maintain your winning streak you get a bonus of up to 300 SB at the beginning of next month. This requires that you hit the minimum daily goal every day that month or at least however many days it requires for the bonus you are attempting. Typically the daily goal gives you about 10% of that goal at the beginning of the next month, which can really add up to a nice bonus. When you start off your 1st daily goal will be quite low and easy to maintain. Usually around 30 or 40 sb, but it will quickly increase to about double that. After that point pretty much everyone will have the same first daily goal. 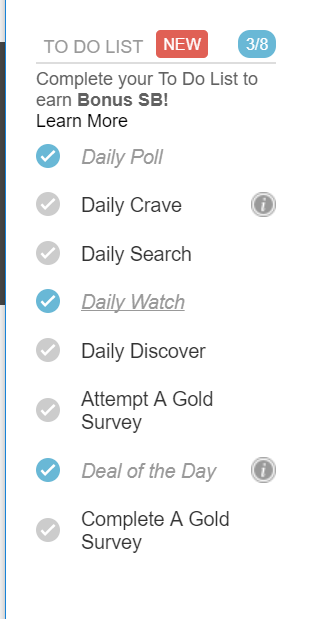 On the other hand, the second daily goal will continue to change depending on how much you earn. The goals can definitely amount a large sum of money. Most people want to make the daily goals in order to maintain their winning streak. This way you can get an additional bonus at the beginning of next month. This can get stressful and even make you just try to do the minimum to maintain your streak. I've found a few techniques over the years and I will share a few of them. 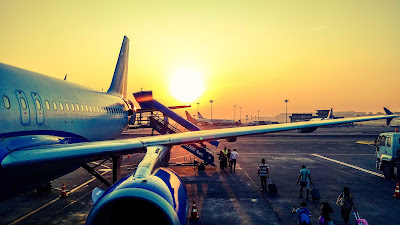 For starters, mobile video apps are your friend. I will use these every day, especially when I am trying to maintain my streak. It's easy to get 10sb from the SBTV app and then I usually switch to the other apps SportyTV, EntertaiNow, and Lifestylz. You can reasonably get 40sb or more a day using these apps. Especially since they usually reset in the evening. Next, I like to play games up to the limit of 10sb. This is pretty straightforward. My favorite game is Swagjump. I think ever since doodle jump I have enjoyed that style of game. Either way, it doesn't take long to make 10 sb and its pretty fun. From here it gets a little bit trickier and less guaranteed. I usually get something from search every day. I use both the mobile app and the desktop search many times throughout the day. I will also use the nCrave to get a few extra Swagbucks if I am close. Another tactic can be to scan the offers and find a free easy offer to fill the meter. Sometimes it can be easier just to do a survey to finish it out. Another option is it complete your daily to-do list. I find that on the days I complete that I am pretty much done with my first daily goal plus you get the bonus on the to-do list. This is a bit tricky because you do have to qualify for a Gold Survey, which can be quite difficult for some people. I know I usually have to attempt at least 4-5 surveys before qualifying. Once you start making all of this extra money from bonuses you have to decide what to do with it. For the first $25 gift card you get each month you can get it for 2200sb which is a great deal because your basically get $3 for free and I think pretty much anyone can find a gift card they use, I typically get Walmart cards. After that, if I have SBs leftover I either get PayPal cash or save them until next months for another discount card.